Master bathroom remodel. Some of the beautiful details found in this bathrooms, include floor to ceiling marble in the shower, sink backsplash treatment mirrors the detail found in the shower. The hardware, lighting and granite countertop continues the overall design of this bathroom completing the stunning presentation. Cook’s Kitchen and Bath created a bathroom remodel design reflecting the customer’s needs and budget. 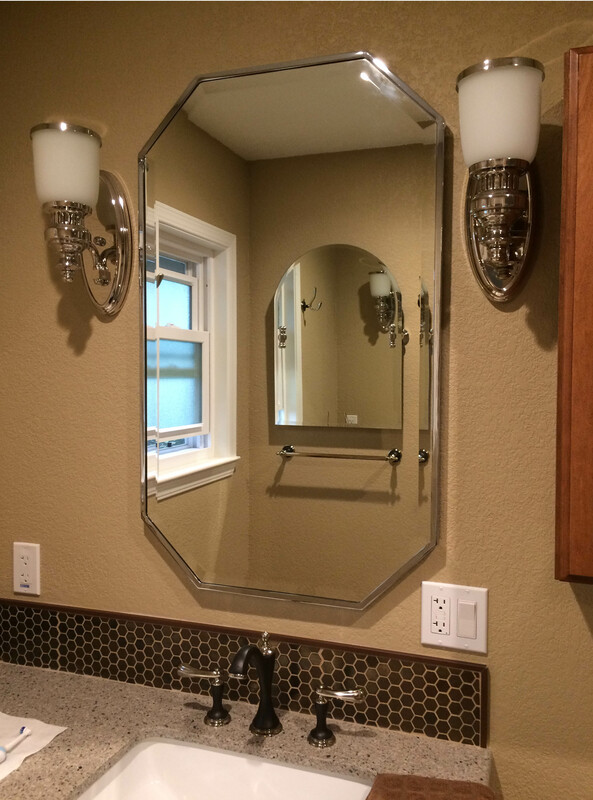 They are s a general contractor, specializing in residential remodeling focusing on exceptional customer service.